Colleagues in Yoshkar-Ola have informed us about the passing of Ivan Grigor’evich Ivanov, at the age of 76 years. 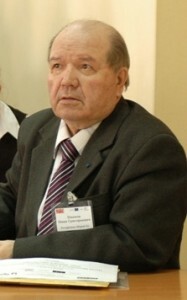 Ivan Ivanov, (retired) professor of the Mari State University, was one of the most esteemed native-speaker researchers of the Mari language. diligent work even in his last years.